Let's get right into the products starting with skincare! 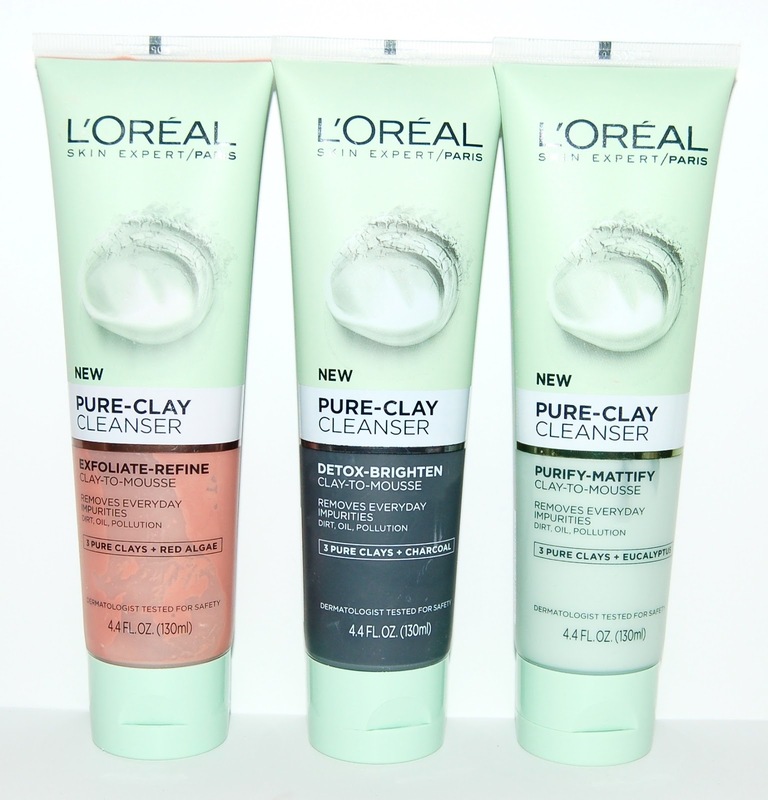 These are clay-to-mousse cleansers. When activated with water, the clay formula turns into a mousse. Each cleanser type has 3 pure clays and a key ingredient. The Exfoliate-Refine cleansers contains Red Elgae and has gentle exfoliating beads. The Detox-Brighten cleanser contains Charcoal, and the Purify-Mattify cleanser contains Eucalyptis. I had a chance to try all 3 of these cleansers and I prefer the Purify-Mattify cleanser as I felt it did the best job at removing my makeup. This brow product has a 3-in-1 mechanical pencil and spoolie. 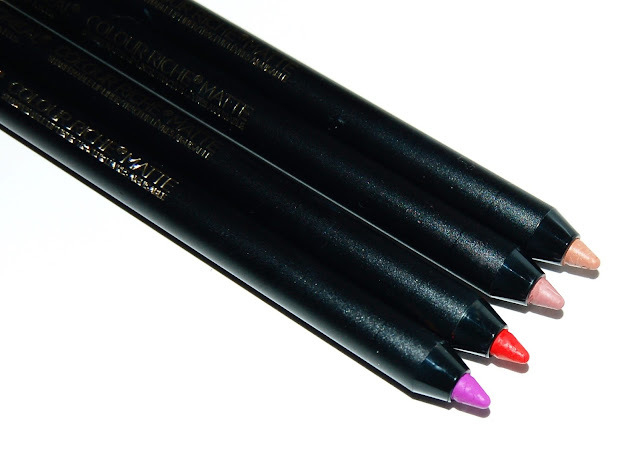 The triangular tip allows for different line thickness and easy application. 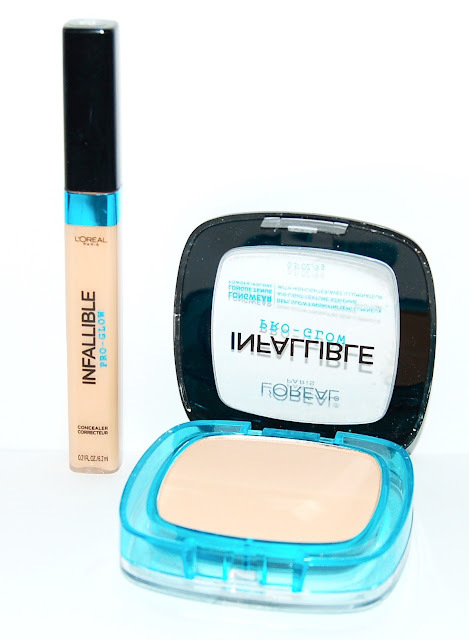 This concealer is said to provide buildable coverage with a slight illumination. I did try it a few times and I found it to be too sheer for my liking. It would work best for those of you without very dark undereyes. 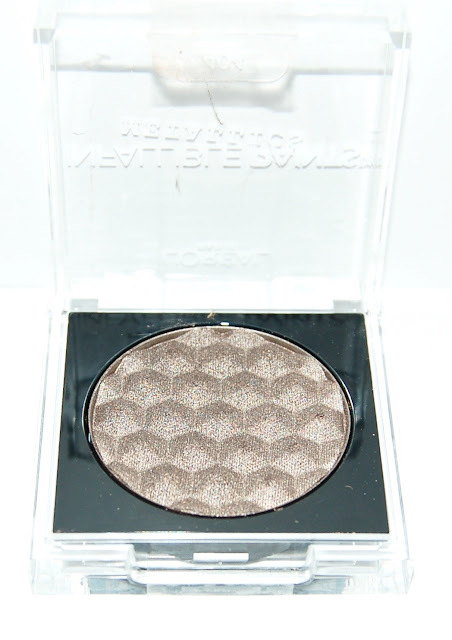 The Powder is supposed to provide a longwear hydrating glow. It has 2 sections in the powder. Half of it is more matte, the other half is basically a highlighter. I used this a few times and I just swirled my powder brush throughout the powder and applied it all over my face. I found this to be a good setting powder, though it didn't provide a flawless finish, it was a more natural finish. These shadows provide high impact color in a bold metallic finish. 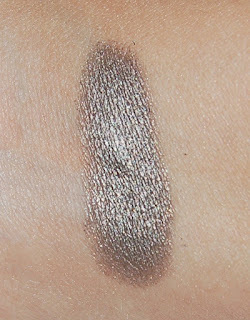 I received the shade 404 Caged which is a really pretty silvery/taupe. 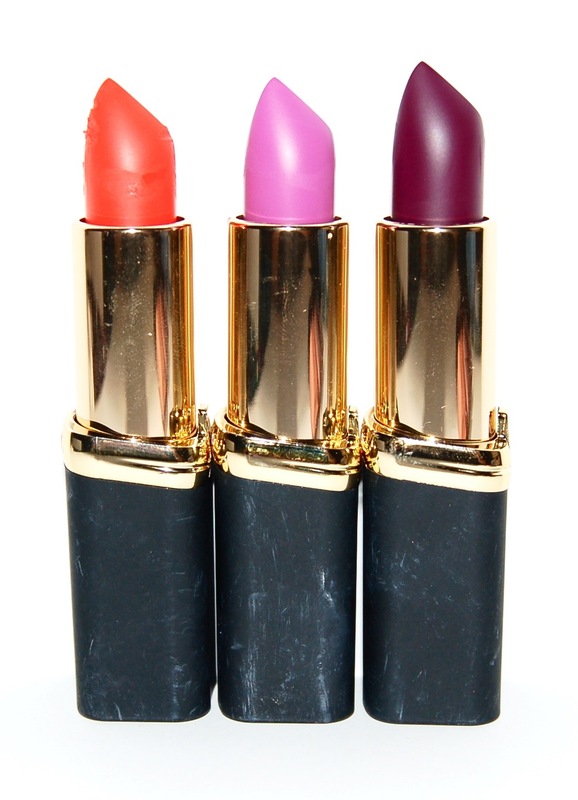 The formula is really creamy and applied best with your finger. I love wearing this all over my lids. Now let's get into the lip products! 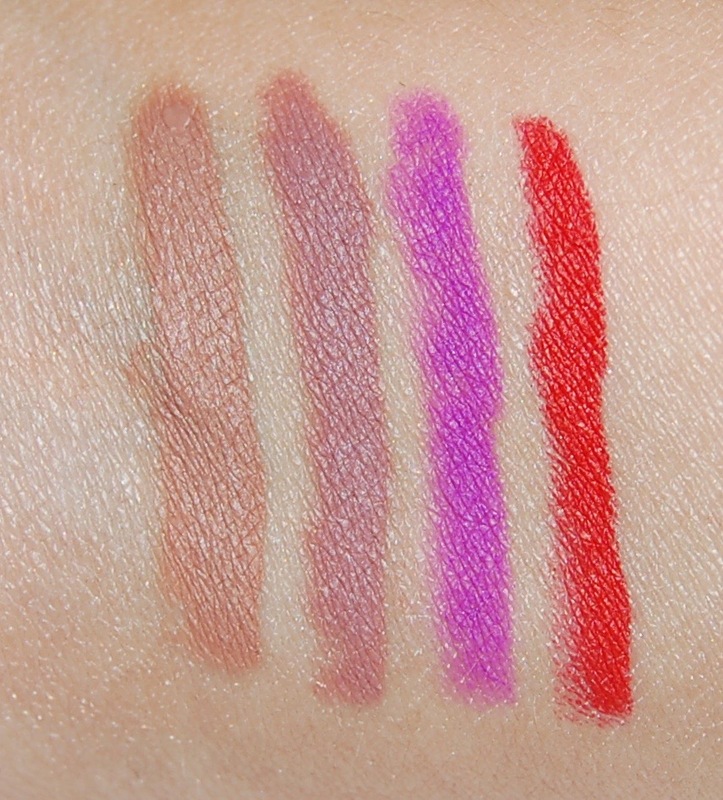 These lip liners are pigmented, creamy, and apply really smoothly. 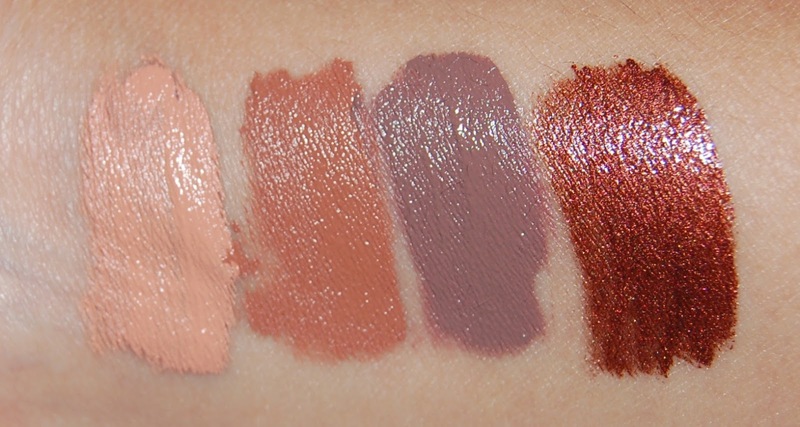 They are so soft in fact that upon first application, I accidentally pressed too hard and broke the tip off of one of the pencils so be careful! 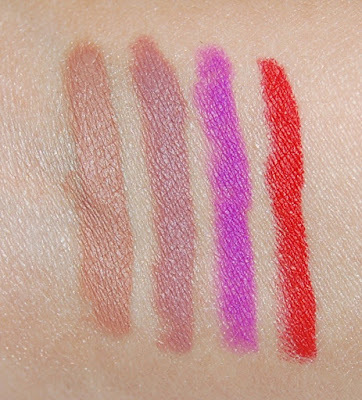 I really like these lip liners and my favorite is 110 Matte's It. Here is a photo of the applicator. Both the metallic and matte Lip Paints are super pigmented and apply easily with the nice doe-foot applicator. The mattes don't feel too drying and last a decent amount of time on me, though they don't last through eating or drinking. My favorite is the shade 346 Festival. 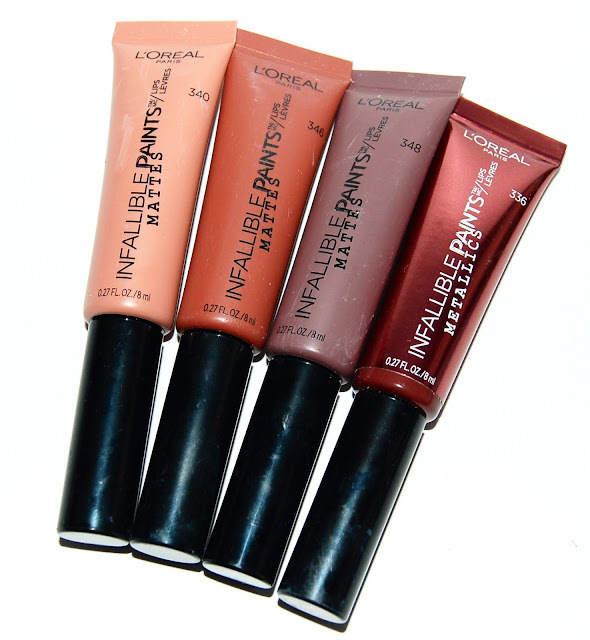 Surprisingly, this is L'Oreal's first matte lipstick collection! 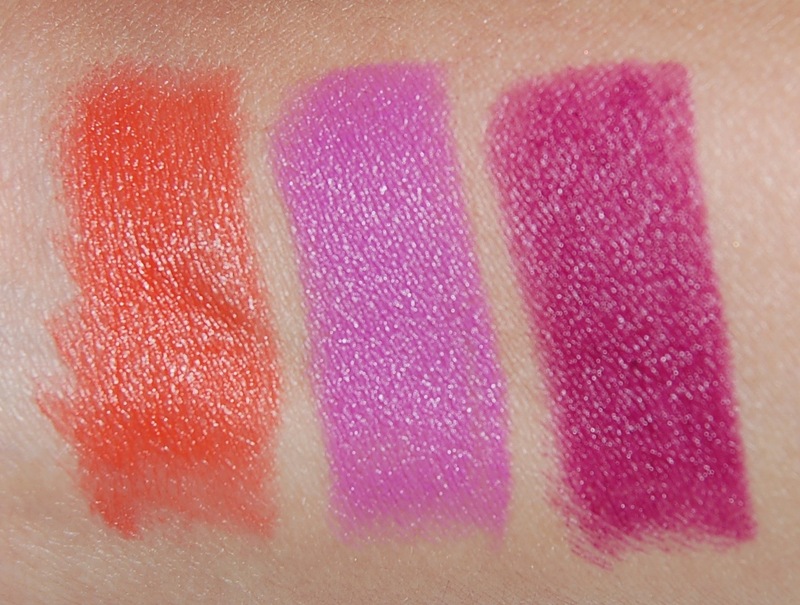 I received 3 bold shades. These lipsticks are matte and very pigmented. They are enriched with jojoba oil for added hydration and comfort. They do have a very strong baby powder scent which disappears after a few minutes. 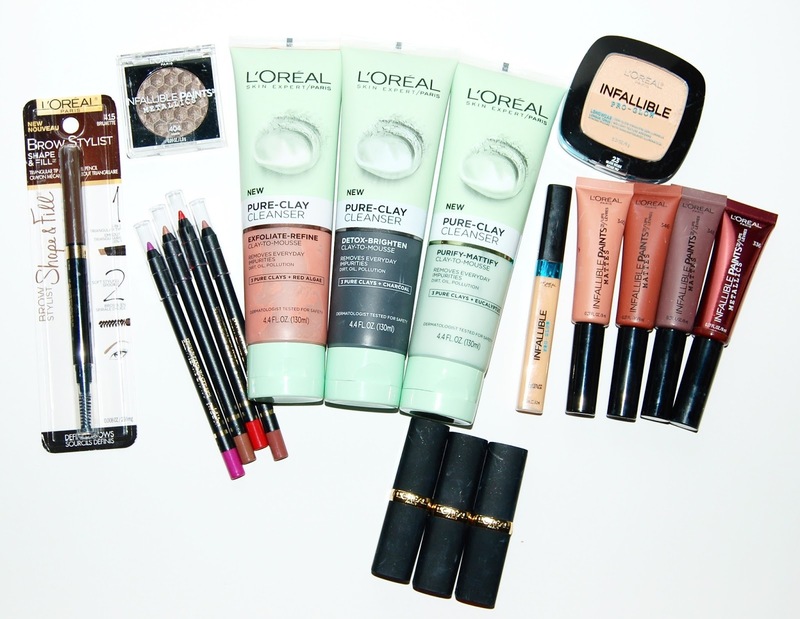 I'm really enjoying the new summer collection of L'Oreal products! My faves are the lip products of course and the face cleansers! *I received these products as PR. All statements are 100% honest and my own.